AUGUSTA, Maine — Gov. 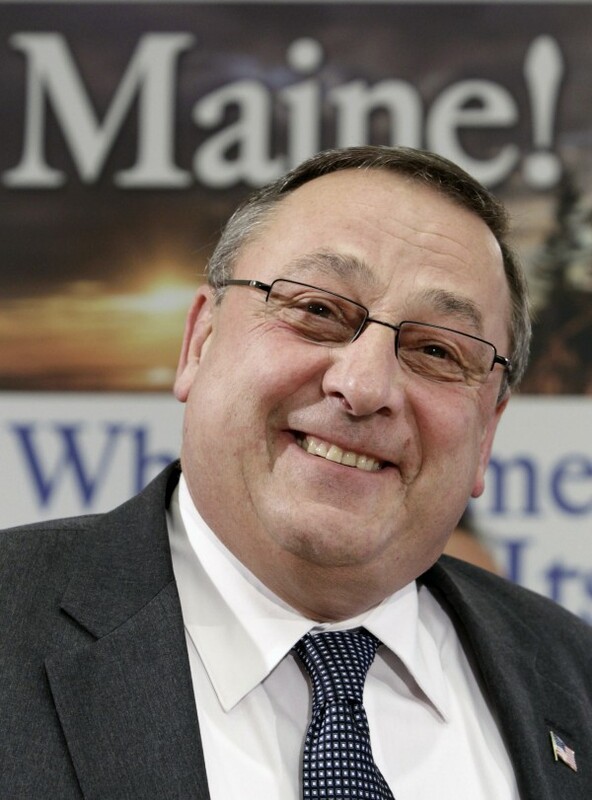 Paul LePage says his proposal to eliminate taxes on pension income in the proposed supplemental budget is another step toward his goal of eliminating the state personal income tax by the time he leaves office. LePage said lowering the top income tax rate in last year’s budget was a first step toward his long term goal. The current top rate is 8.5 percent and will be reduced to 7.95 percent next January. He said eliminating the income tax on pensions is an important step toward the goal. LePage said he would have proposed lowering the top tax rate to four percent this session, but said revenues cannot support that step or his intention to eliminate the tax. This year Maine is projected to collect over $1.4 billion — almost half of all state revenues — from personal income taxes. Sen. Richard Woodbury, I-Yarmouth, serves on the taxation committee and is an economist. He said simply eliminating the personal income tax would be “irresponsible,” but a significant reduction in tax rates would help the state’s economy. Woodbury said while some cuts in spending should be part of reaching a lower rate, he believes a “rebalancing” of the tax mix could achieve the goal of a four-percent top rate without slashing public services. He said the governor’s proposal to eliminate taxes on pensions is not a good idea. “Anytime you create a special tax program for one group of taxpayers over another, you end up having to charge higher taxes to everyone else,” Woodbury said. Rep. Gary Knight, R-Livermore Falls, the co-chairman of the Legislature’s Taxation Committee, supports both the governor’s immediate proposal on pensions and his long-term goal to eliminate the personal income tax. “Maine is the oldest state in the U.S. and this is sending a message that we want you to live and retire here,” he said. Knight said he supports the goal of eliminating the income tax, but acknowledges that may not be an achievable goal without increasing some other tax. He said while some believe there will be enough growth in the state’s economy to pay for such a cut, he is not confident of that. “I am supporting the pension and the military piece because I think it is a good thing to do, but paying for it is an issue the Appropriations Committee will have to consider and eventually all of us when it comes to the floor, “ Knight said. Rep. Seth Berry, D-Bowdoinham, said he had proposed eliminating the income tax on pensions instead of the estate tax cut that was part of the governor’s tax reduction package last year. He said given the slow growth of the economy, he does not think there will be enough revenue growth to pay for that package, let alone the one being proposed this year. Berry said he supports tax reform, not just tax reduction. He agrees with Woodbury that the income tax rate can be lowered, but only by raising some other tax, and said LePage is yet again seeking to cut taxes without paying for it. “The M.O. clearly of the Governor is I want to enact future tax giveaways, that I don’t have to pay for and take credit for them now,” he said. The pension proposal is included in the governor’s proposed supplemental budget and will be part of the public hearing before the Appropriations Committee starting at 1 p.m. Wednesday.